Standing at an impressive six foot eight inches, this young man tends to stand out in crowds. His height combined with a medium, athletic build suggests an individual with martial training. 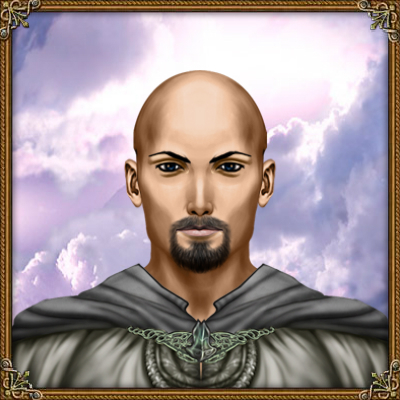 With a shaved head the eyebrows and oval goatee reveals hair of a chocolate shade, with mocha eyes and lightly tanned skin. His face isn't really attractive or unattractive by most standards, more just plain and 'average'. The man is well-groomed and tends to dress well also suggesting he comes from a wealthy family, perhaps even nobility. Oddly, no matter what is worn this man who seems to be in late twenties to early thirties based on looks wears three links at all times attached somewhere to his clothes or armor. One link is made from iron, one is pale steel, and one from black iron. The three links look like they could be part of a chain, but none of them are connected or even touching each other. Born on the twenty-first of October in the year 92 A.L. The third son of Alan, Lord of House Tarly and his wife Margaret, was Lord Tironos Tarly. Always a tall boy, but a bit on the skinny side in his youth, Tironos had a natural desire for mental pursuits over physical. Having no real physical skills to speak of, and wanting his sons to be skilled soldiers and knights, Alan Tarly sent young Tironos off to Oldtown to study to become a Maester. While his father more wanted to be rid of a 'weakling' son, or at least keep him out of the public eye, Tironos loved the idea as the Maesters were among the most learned men in the Kingdoms. At the age of five Tironos arrived and began his studies, his intellect combined with a child's ability to absorb information easily, and a focused determination to learn all he could proved an asset to the child. Having an almost 'tunnel-vision' styled drive, taking on a single subject at a time it was within three years that young Tironos earned his first link, a black iron one for Ravenry. From there he moved on the the study of warcraft as he thought it'd make his father proud, which resulting in the earning of an iron link within two years thanks to what seemed to be a natural talent for the subject. From there he moved on, and with some urging from his teachers to diversify a bit, Tironos at the age of ten he focused on smithing and some additional skills his instructors though important. Namely etiquette, heraldry, a bit of intrigue and riding, and the study of High Valyrian. With varying degrees of success of the 'lesser' skills, Tironos expanding on his smithing studies after two years to include armoring, then weaponsmithing soon after that. At the age of sixteen Tironos had earned a pale steel link, however his deep-seated loyalty to House Tarly and the desire to make his father proud meant the Acolyte was removed from the instruction of the Maesters as he could not develop the neutrality needed of a Maester. Having grown during his adolescence and the work of smithing Tironos had developed a bit of a lean, trim build and was already quite tall, as he had always been. Still seeking his father's approval, Tironos stayed in Oldtown and sought out any knight or Lord his could find willing to take him on as a squire, after months of searching he finally managed to find someone due to his size, developing build, and his skills in smithing. Training hard with the discipline he learned with the Maesters and the drive to please his father Tironos developed his skills with horses more, also taking up the more knightly skills of the use of swords, bludgeons, shields, and due to his large knowledge of warfare even learned to command troops in mock battles, allowing him to put what he learned into practice use. By the age of twenty-three Tionos was finally knighted, but remained in Oldtown still, as he felt he couldn't return home until he had proved himself worthy of the family name in his father's eyes. Though his father bore him no great love, he did provide his son some degree of money to see to his needs, and in the years since his knighting has earned extra money from tournaments and the like. He may not be the best of fighters, he normally won by outsmarting his opponents more often then not, and not always to great success. He didn't get along with his two older brothers much, and spent little time with them, and those of his siblings born since he left home he has no knowledge of at all. As he never took his vows as a Maester Tironos still uses his titles, though normally going simply by the name Ser Tironos, he will sometimes use his family name at the more significant tourneys, hoping that if he does well enough word might reach his father, but so far this has no occurred. As he is allowed to marry still Tironos has been keeping a look out for noblewomen that his father might approve of, hoping he will be allowed to marry some day. Whether this happens or not even Tironos is unsure. To this day he does all he can to prove himself a knight of honor and a fighter worthy of his father's praise, he dabbles a bit in hunting from time-to-time, and brings in a respectable amount of money for himself. The oddest trait he has picked up is that whether in armor or normal attire, he always has three links attached to him at all times, a link of iron, pale steel, and black iron. These he wears to show respect for the Maesters and for those that taught him, but as he never progressed beyond an Acolyte he never allows these three links, wherever they are found, to connect or even touch each other. More recently Tironos met Lady Jeyne of House Webber from House Osgrey and after a few conversations Tironos found someone that not only held his interest, but was also attractive and had complimentary skills and interests to his own. As a result of this and their interactions Tironos finally found someone he was willing to risk angering his father to not only ask for a betrothal to, the words of his message to his father requesting the match nearly bordered on a demand more then a request. As he awaited what he expected to be a refusal, Tironos spoke with his baby sister Jessamine, whom he had only learned existed a little over a week prior. As she was having troubles with her own betrothed and she was family, Tironos wasted no time inviting her to stay in the guest quarters of his manse till things were settled. To Tironos' surprise, not long after Tironos discovered his father actually made the arrangements and he found out about the betrothal the same day as his future bride. After a discussion it was agreed that for the duration of their betrothal Tironos hosted his betrothed in a kind of prolonged guest right, leaving his future wife and sister sharing a room, and though some might gossip about the couple sharing aroof, they don't share a room and the presence of Jeyne's handmaid and guard also helped to show the offer was more respectful and chivalrous then suggestive or improper. 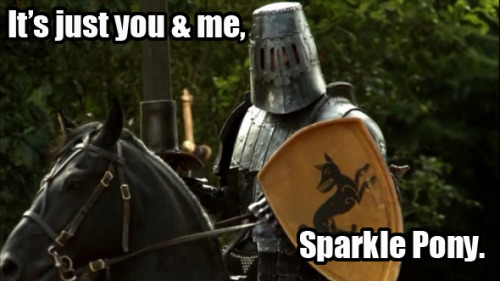 A few days after Prince Maelys Targaryen hosted a tourney, that came to be known as the Tourney of Maidens, though Tironos was unhorsed by the first and defeated by the second he tilted against, he fared much better in the grand melee that took place the following day, where for the first time he actually placed in a tourney, losing only to a mysterious knight revealed to be Lady Maera, the head of House Mormont. Not to mention being one of the few to survive a fight against a Valyrian Steel sword by the name of Longclaw. Though the call for Stark Banners went out prior to his wedding, Tironos did now want to leave Jeyne behind as an uncertain betrothed. Due to this Tironos left Oldtown for the first time in twenty-two years to volunteer in the Stark's summons against a group of Wildlings that slipped south of the Wall a few days following his marriage. It took several days for Tironos to catch up to the combined forces, though it wasn't long after his arrival that a follow-up assault was launched to deal with the surviving Wildlings that were attempting to retreat. During the battle Tironos proved himself capable in combat as he killed several Wildlings, though he took a spear to his leg, which fortunately was relatively minor though it would be his first wound sustained in true battle. 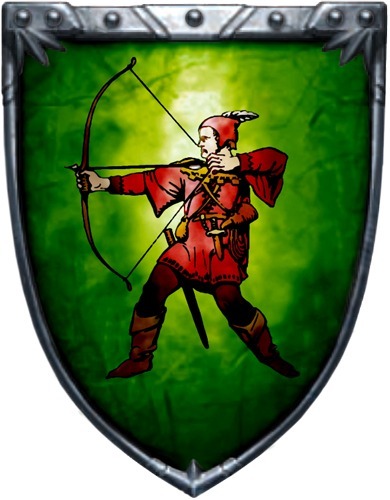 House Tarly - Tironos is the third born of the main line of House Tarly and has a great devotion to his family, even if he hasn't seen most of them for most of his life. Friends and enemies of House Tarly could have options for interactions. Family Members - Tironos was always a tall boy, even as a child, however he was sent away from the Tarly's holdings when he was five years old, any Tarlys born after this time Tironos would have never met, and he may or may not have been mentioned to them by their parents of Tironos' two older brothers. The two older brothers he would have know, along with anyone else born before he left, though he was never overly social he was kind and gentle for his size. Maesters of Oldtown - Tironos studied with the Maesters from the ages of 5-16 (98-109 A.L. ), perhaps you trained with him or was one of his teachers? Oldtown - Since the age of 16 Tironos first squired and then became a knight at the age of 23 (116 A.L.). He still lives around Oldtown and its possible for him to be met by anyone brave enough to speak with the rather tall knight, whether he talks back depends on the individual. With a bit of questioning it isn't too hard to discover that 'Ser Tironos' purchased Sunset Manse around the year 117 A.L. and over time has made some personal renovations and improvements to the residence. Knights - Knights who have taken part in tournaments in Oldtown since 116 A.L. may have fought against Ser Tironos, Ser Tironos Tarly in the more significant tourneys. Perhaps you beat him, perhaps he beat you, perhaps you fought to a draw. Tironos mostly competes in jousts, the grand melee, and sometimes equestrian events. 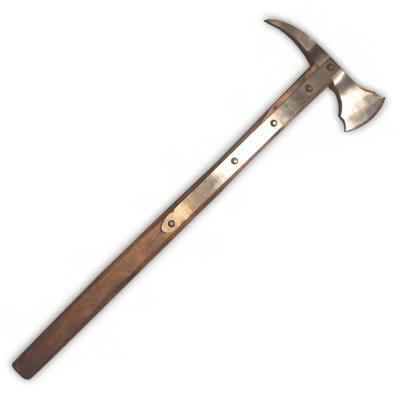 Though he normally uses a sword and shield in the melee, he has been known occasionally to use an ax and shield, or even more atypical combinations of a sword with an ax, a pair a swords, or a pair of axes. Wealth: Comfortable - Tironos has a reasonable amount of money. Failed Maester - Tironos tried to become a Maester but failed. Giant's Blood? - Tironos is how tall?! Mental Knight - Tironos is more the type to try and out-think his opponent then beat them into the ground with a rock. Tironos is a bit on the quiet side, especially when he's uncertain about someone, but friendly conversation tends to get him to open up. Despite being so tall he is quite gentle and caring for a noble. He obviously cares for high born more then low born, though he is rumored to treat low born well when they prove useful and trustworthy, by his standards. 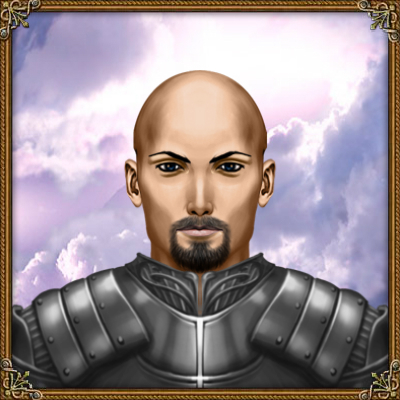 Tironos is known to be fiercely loyal to his loved ones, even violently so in extreme cases. He has a great love for his family and seems willing to do anything to place the most positive light possible on the name of House Tarly. 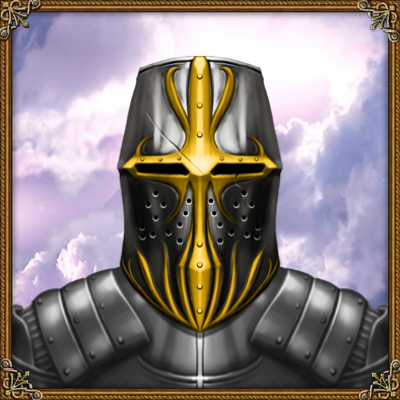 Armor - Tironos wears a set of full plate, including a great helm, that is dull gray in color and unadorned. When worn it increases his height to nearly seven feet. He has worn this armor for at least a year to a year and half. He also has a tourney-styled cape of green and red, the colors of House Tarly, which hooks to his armor via unadorned metal clasps. This cape is normally only worn during major tourneys held in oldtown, the type that is talked about throughout the Kingdoms. 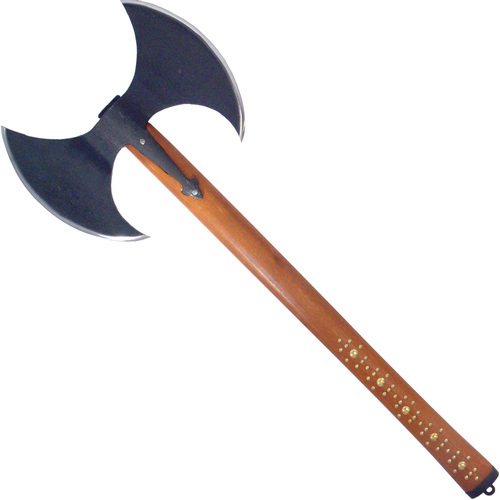 Weapons - Tironos primarily uses an unadorned shield paired with either a sword or a hand ax. He is also known to use lances at tourneys, and during the grand melee he will typically compete with either of the shield combinations or will wield a weapon in each hand. These weapons can be two of the same kind of weapon or any combination of two weapons he is known to use. He has been known to wield a long sword, hand ax, or a falchion in the melee. Home - Tironos purchased the Sunset Manse on Beacon Boulevard a couple years ago, though he has made some renovations since, namely a small stable and a personal forge. Sunset Manse is one of the oldest on Beacon Boulevard, and is named for the color scheme of the external walls of the manse. Two servants are also assigned to Sunset Manse, a man and woman who are known to be related in some way. The man takes care of the garden, forge, stables, and horses and as such is seen more often by passers-by. The woman presumably handles the cooking, cleaning, and other such tasks inside. Either of the two are sometimes seen shopping. Attire - Tironos most often wears noble garb ranging from the 100-300 Stags range, in shades that don't match any of the noble Houses. He is also known to own a single garb that is around 800+ Stags that he saves for formal events such as marriages and the like. 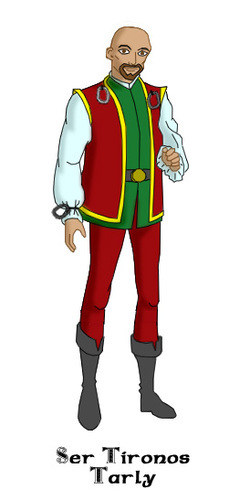 This outfit is primarily red with a green doublet with a red striding huntsman embroidered on the front, his House's sigil. He also is known to wear three metal links that he incorporates into his attire at all times in varying locations, often hanging from his clothing. These links are iron, pale steel, and black iron, and are always positions so they are never connected or even allowed to touch, they also often hang from a leather thong. House Ring - Tironos owns a pale steel signet ring which bears the sigil of House Tarly that he made himself, mostly worn for formal occasions like weddings and for sealing official documents. 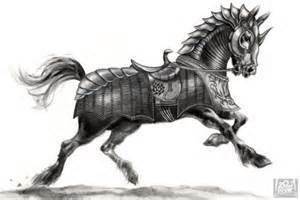 Mounts - Tironos owns a chestnut rouncey named 'Respect' used as a pack animal, though originally he was used as a mount in tournaments before Tironos got his plate armor. 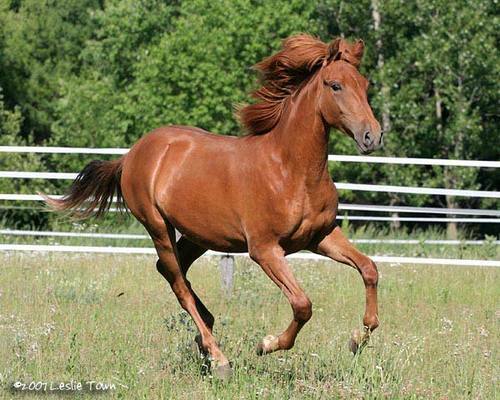 He also has a white Palfrey named 'Huntsman' used for both riding and hunting. Finally he has a large, black destrier used for tourneys. The destrier named 'Honor' was purchased to support the weight of Tironos in his full plate due to his size and the added weight. I am sorry for leaving you behind, but as I told you I've never been to actual battle and you know how my father views me. This is something I feel the need to do at least once. I make you this vow once again, I will do all in my power to ensure I return to you alive and as healthy as combat permits. Try and keep my sister from getting into too much trouble for me. As I am writing this we will be entering combat soon, as i do not know what state I will be I will write you a letter every time we got into battle when time permits. If you ever receive a message from me that is unsigned then you will know I have fallen, as I will wait until I return and able to write to sign anything I write to you. I have a small scar to show you upon my return. With luck by the time you receive this I will be back shortly. Logs that refer to Tironos. Father - Alan mostly views Tironos as a bit of a weakling. Though always tall, as a boy Tironos was skinny and physically weak but not frail. Because Tironos had an interest in more mental pursuits such as reading and studying then physical pursuits Tironos was viewed as a bit of an embarrassment by his father who wanted all of his sons to be stronger fighters and knights. For this reason Alan was more then happy to send Tironos to Oldtown to become a Maester, to bring some degree of respect to the family. With the recent arrangement of Tironos' betrothal to Lady Jeyne, it would seem Alan has at least some approval of how Tironos has turned out, though they still are not close. Mother - Tironos doesn't talk about his mother very much, though he doesn't speak badly of her either. She likely loves him and he loves her, they just aren't very expressive of it. It may have even been his mother's idea to have Tironos sent off to Oldtown to become a Maester to allow Tironos to pursue what he loved and also create the appearance of respect for the family to his father, though only she knows for certain. Eldest brother/House Heir - Tironos and Jason were never close, Jason did boss around Tironos and mildly bullied him, but Tironos hasn't seen Jason since Tironos was five, there is no telling how they'd view each other currently. Sweet Sister - For someone I didn't know existed, I enjoy her energy and though her affectionate behavior takes some getting used to, after so long without close family I'll accept almost anything. I find myself calling her 'Sweet Sister' which given her sweet and excitable nature, and the fact she tends to amuse me it's not a great surprise. I was happy I could provide for her in a time of need, hopefully the issues with her betrothed can be worked out and she can be happy. Wife - Who would have thought I would have a wife, though now that I do, the Seven Hells will greet any that try to harm her. The question now is will I be able to live up to being worthy of her. Thricewise - A bit of a withdrawn man, Maester Thane was good enough to me as a boy, it was he who taught me most of what I know about ravenry and I consider him to be the reason I earned my black iron link as quickly as I did. Some didn't like him with his three predictions and all, but my only real complaint about the man was that he would learn to loosen up a bit. "Sister" - Her betrothal to Axell might have been annulled but I am happy about it, it seems her new betrothed is a much better man then my brother was likely to be. Regardless she is a good woman and I am happy to know her, and she doesn't seem bothered by the fact she feels almost like a sister to me. The Giant Slayer - A knight of respectable skill, whether by title or not, she has proven worthy of being called one after laying low so many in a single melee. Pronunciation: Just wanted to include for anyone wondering. I pronounce Tir's (Teer's) name as Teer-ron-oh-ss. Though the 2 'r's at the 'teer-ron' are said as a single 'r' sound, no rolling the r or anything special. The weapon images below is to give an idea of how Tir's weapons look, though normally only seen at tourneys. 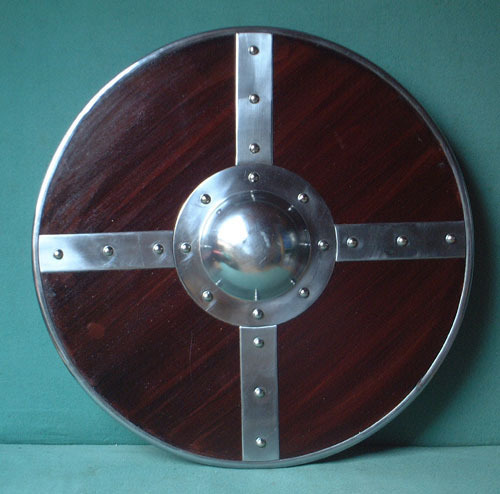 The two falchions are identical (falchion1), as are the two long swords (longsword1), his most used hand ax is double-bladed (handax1), and the other is more single-bladed (handax2), and finally his shield (shield). 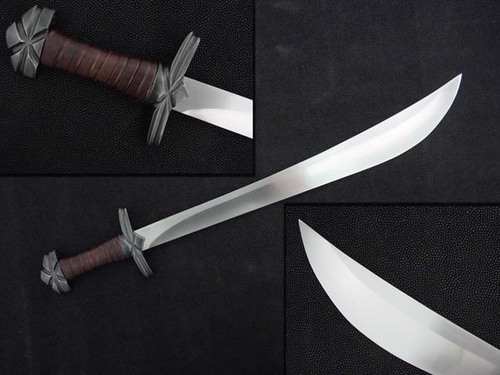 Note both hand axes are singe-handed, and the hand axes and falchions are proportionate to Tir's size where the long swords are more typical length to make them a bit easier for him to use one-handed or two if needed. The shield is also proportionate to his height.